The dust has all but settled on the election petition and the country did not descend into anarchy, mortars did not start flying over houses and no riots broke out. After the blown up atmosphere of the past weeks it’s nice to put on the TV and not see a war documentaries or see some politician declaring he will accept the final verdict because apparently, there was the option of not accepting it. All in all the police in riot gear didn’t see any action, we didn’t see our Ghanaian SEAL team go all commando and the waakye seller in the corner was a no show and that’s all I really cared about on the day, my nice hot, chilly waakye. I believe the happenings of the past few months will make a brilliant screenplay for a black comedy one day, when we get some decent screen writers in Ghana. My thoughts today are on the least favorite past time here in Ghana, reading. I don’t really consider myself a reading aficionado, movies, football, gaming and even sleep easily take precedence over reading in my life but folks around look at me and say I love reading which owes more to the low reading standards than the fact that I walk around with a bookworm stamp on my head and I feel like there’s something wrong with that picture. Having a society that reads is so important because it develops our minds and widens our worldview which is as narrow as it gets right now. I secretly loath people who read nothing but motivational books just because they want inspiration, that’s like my secret pet peeve, not so secret now though. The pleasure in reading is about being able to read on any themes and topics you want otherwise it just turns into extracurricular course material. I do a fair amount of reading but I won’t call my attitude to reading the standard, more like the ideal or average in a perfect world but alas, Ghana isn’t the perfect world, far from it in fact and our kids and grown-ups, mind you, do not read. The distractions of work, TV, games and so on may count as excuse but really, those things appeal to the best of us but I for one still find time to spend with books not just because I enjoy it but also because I recognize that a healthy reading habit is important. Why? I think it stems from my childhood and my parents taking the time to draft me into a reading club in my neighborhood. They realized I was spending too much time on movies and games and not reading and felt or rather hoped that my attitude to reading would change. At the club, we were divided into groups depending on your level, and during the mostly two hour sessions every Saturday, we read some text from novels and went on to discuss things like the themes and writers choice of words and so on. 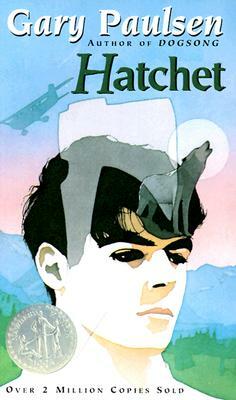 I still remember the book my group was looking at when I first joined the club; Gary Paulsen’s Hatchet, talk about an epic survival story. It took me while to warm up to it but it eventually happened. We borrowed a book or two at the end of the day to read during the week and a mini report was expected the next Saturday. I would have loved it if there was something like that going on in boarding school or even now in university alas, no. I can’t stress enough how important that experience was for me, I roll my eyes when people blurt out the life changing cliché but that for me was life changing and I thank God for that experience. The name of the club was “Enjoy Reading” and what they did there was teach me to enjoy reading, not to read out of some obligation or in expectation of some form of change but just to enjoy reading in the simplest sense. That I believe is where the problem lies; folks just don’t enjoy reading and when it comes down to it, why do something you don’t enjoy? Reading, because of school and related stuff has been made to seem like a chore and we all hate chores, don’t we. 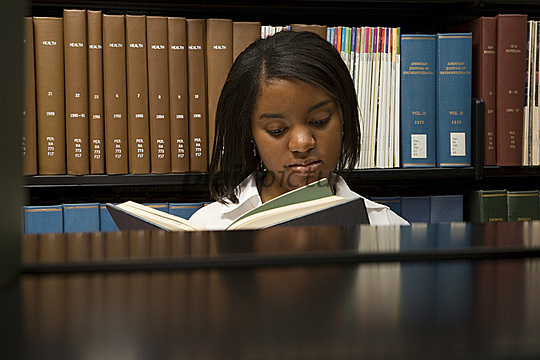 The question is how do we get people to enjoy reading? It’s probably too late for peeps my age and older to make a U turn. When it comes to this topic and the best bet is to reach out to kids and not by forcing them, mind you but by more tactful endeavors. My parents never made a big deal out of reading even though it obviously was, probably some form of reverse psychology on their part. One of the main reasons I went to the reading club, apart from the fact that I didn’t have a choice, was because friends from the neighborhood also were involved and indeed it all felt like extra play time, no pressure, no competition. I probably would have loathed it if there was a “reading time” on my private timetable like the way I hated afternoon siesta which was an official thing in my home when I was young. I do however realize that the club I attended was driven by a remarkable woman and all thanks must go to her and her family, but such endeavors by individuals are not commonplace. I would consider suggesting the government does something but, they are of course the government and I’m looking for kids to start reading not the reverse. That then leaves parents to build and instill a healthy reading habit in their kids. Instead of a NDS or dolls, try a collection of ladybird books (if they still exist). Buy them a paperback of their most loved cartoons or Disney movie like say batman or ben10, surround them with reading material on fascinating topics. Kids are curios by nature and all that should hopefully lead to them gobbling up more books. I won’t assume that all schools in Ghana have working libraries because they don’t but those that do could institute a mandatory library period. We had something like that when I was in basic school but measures like that only really work when the kids have a foundation and I’m not in favor of treating reading like PE. Ultimately, the best reading role models are parents. I admired my dad’s collection of novels growing up and I have looked to emulate him. Same with my granddad who has a brilliant assortment of his own and I was lucky in that regard. I take comfort from reading. In boarding school, books kept me kind of sane, just kind of and I believe that there is a book out there for every one and though it may be too late for adults but there is still hope that the young ones will find that one that opens the floodgates.